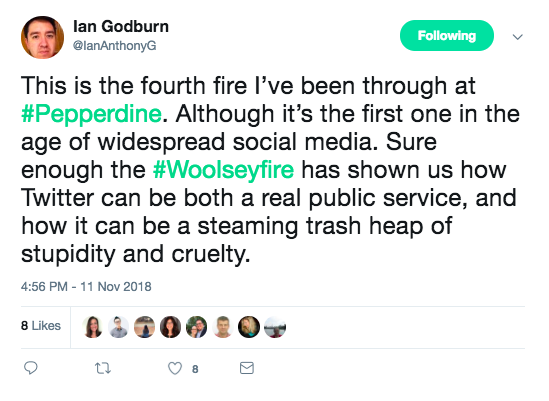 Social media played a key component in the spread of misinformation the night of Friday, Nov. 9, as the Woolsey Fire grew in close proximity to Pepperdine’s Malibu campus. 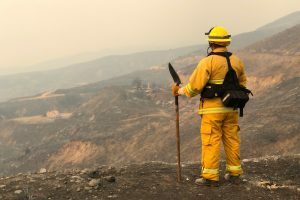 The shared false claims of the fire arose from a lack of communication and misunderstandings. It caused confusion and heightened worry among students both on and off campus and their loved ones. Sophomore and RA Justin Rorick stayed on campus the night of the fire to attend to his residents. Rorick said he used his personal social media to provide updates to his friends when he saw others posting extreme claims. Freshman Meagan Jaycox also followed the shelter-in-place protocol Friday night. Jaycox used Facebook to update her family and friends, and saw news outlets reporting mistaken information. 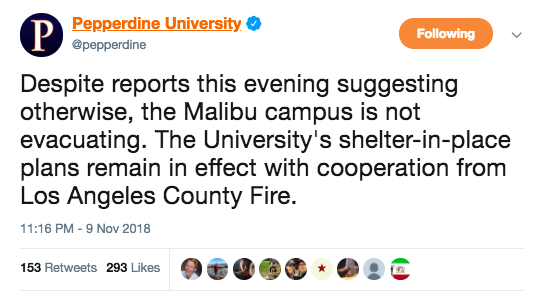 The LA County Fire Department brought their helicopters on campus to use Alumni Park for air operations support and draw water out of the campus lakes, according to an emergency update from the University. 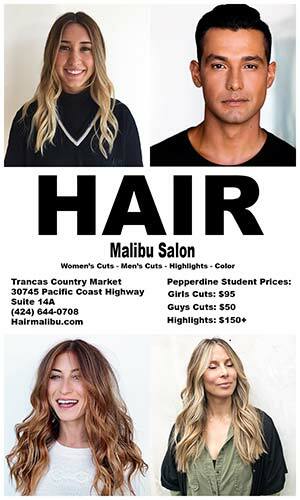 Rorick said more confusion spread after a California Highway Patrol (CHP) officer asked students in Payson Library why they had not evacuated, as the city of Malibu was under a mandatory evacuation. The CHP officer was not aware of Pepperdine’s safety-in-place protocol until students informed him, Rorick added. The university encouraged students to stay on campus, but they had the option to leave if they wanted. 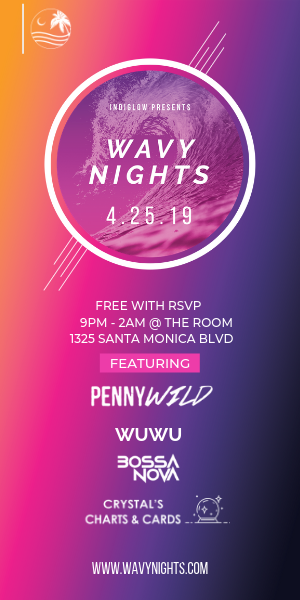 As flames grew over the Santa Monica Mountains in the early hours of Saturday, more worry of fire spreading to main campus circulated within the University, as well as online. Jaycox said once one student said the fire was on campus, it was difficult to think otherwise. Fear and intimidation took over. 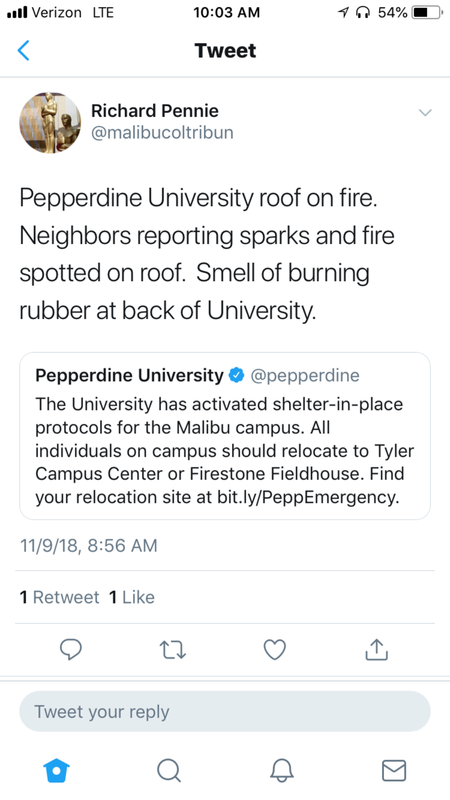 The Woolsey fire did spread to the outer perimeter of campus, burning some cars and brush, but no permanent structures were lost, according to Pepperdine’s Twitter. All individuals remained safe. 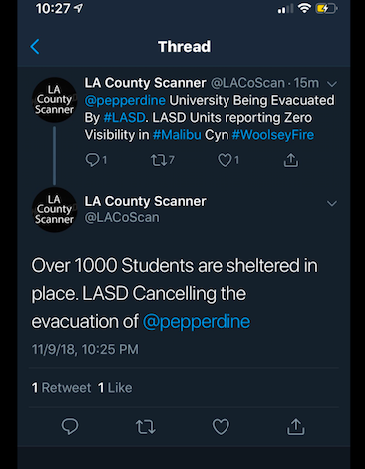 Those who were not on campus said they relied on news sources and social media for updates on the safety of those sheltering in place. 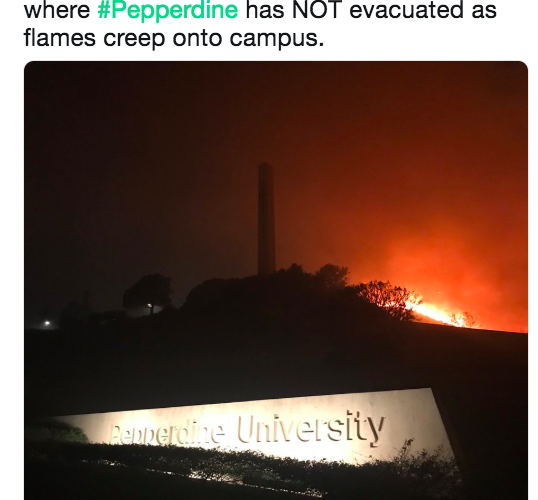 Freshman Helena Blackman said she left Pepperdine Friday morning but continued to scroll through Twitter for news alerts. Blackman said she continually called her friends who were still on campus, who reassured her they were fine. 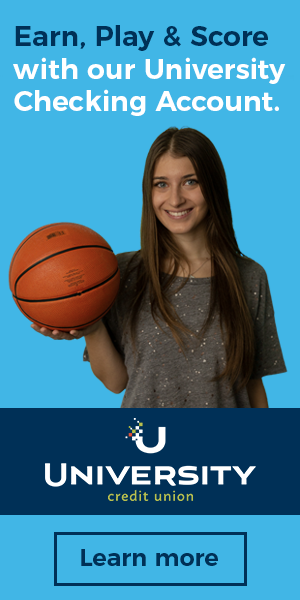 Freshman Isabella Fusco chose to drive home Friday morning. Fusco said she checked every source possible to find out more information on the status of the fire and those on campus. Although the worry has since decreased for Fusco, the confusion from the overwhelming amount of information lingers on. “I still do not know which parts of the news I heard that night were true and which were false,” Fusco said.